The menstrual cycle is the cycle of natural changes that occurs in the uterus and ovary as an essential part of making sexual reproduction possible. Due to various factors like stress, poor nutrition, certain medical or non-medical conditions, change in hormonal level (specifically cortisol, estrogen and progesterone), results in irregular menstrual cycle or abnormal uterine bleeding. Menstrual disorder is a common problem now among women of reproductive age; and heavy menstrual bleeding affects up to 30% of women throughout their reproductive lifetime. These complaints may significantly affect quality of life. 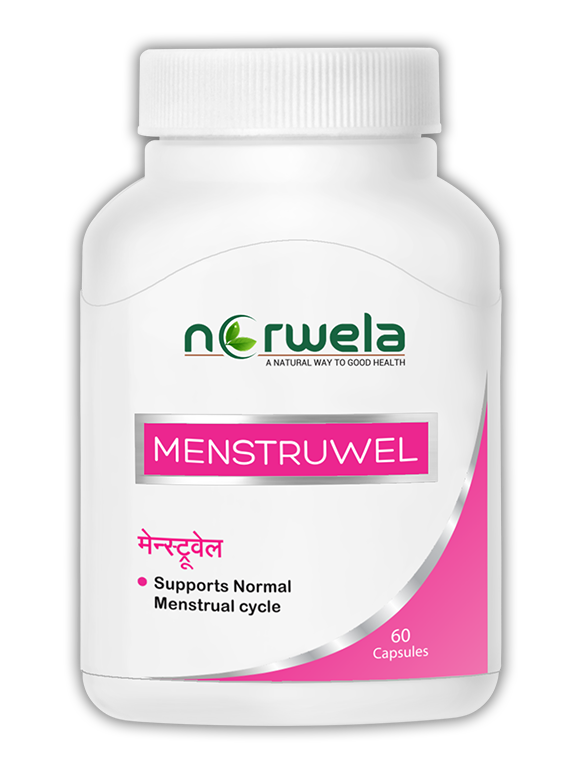 MenstruWel is a research outcome to support normal menstrual cycle. It has been seen to be highly beneficial in menstrual disorder. This unique product is an innovative, safe and natural solution for Irregular Menstruation Cycle. The formulation is a synergistic blend of standardized extracts of various herbs that have proven quality of providing safety and efficacy in Irregular Menstruation Cycles. One to two capsule(s) twice daily after meal.